I would say to go with him, because we were so happy with him. He does a wonderful job. We like many things like his honesty, the way he works with his patients, his work, just everything. Everything is very good. It's wonderful. I would bet my life on him. He is the best dentist we've ever had, and we love him. He is like family. We've sent about 5 people to him. We love his manner, knowledge, and personality. I brought my husband in to him, because he did a really good job on my filling. He does really good work, in terms of restoration skills. I like how he takes the time to take pictures of my tooth, while he was doing my filling, and he showed me where my cavity was. He was very informative. 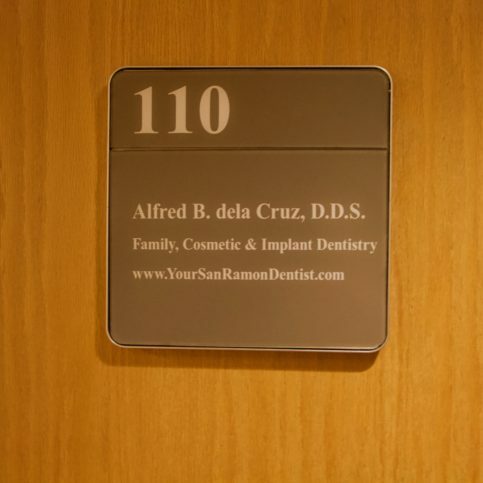 Alfred B. dela Cruz, DDS is a San Ramon dental office that provides patients of all ages with a variety of general dental services, including composite fillings, extractions, dentures, partials, root canals, whitening and cosmetic work. 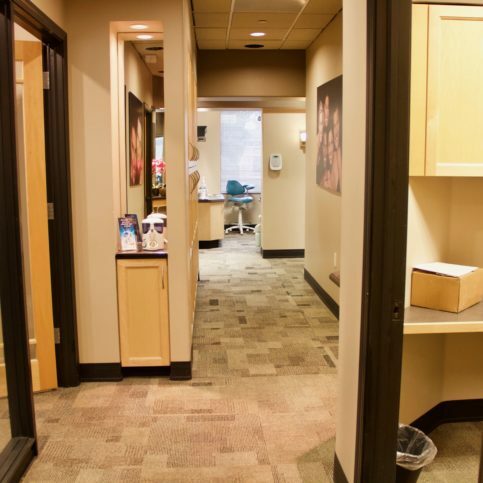 The practice also handles veneers, inlays, onlays (a conservative alternative to crowns) and periodontal therapy, and it uses carefully tailored anesthesia to offer painless oral surgery. 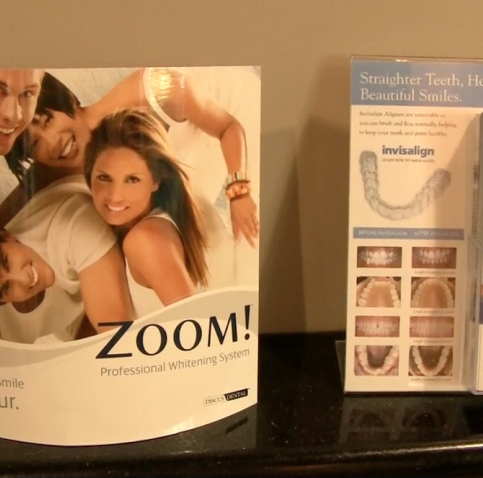 Dr. dela Cruz believes in creating a “dental experience” for each of his patients. 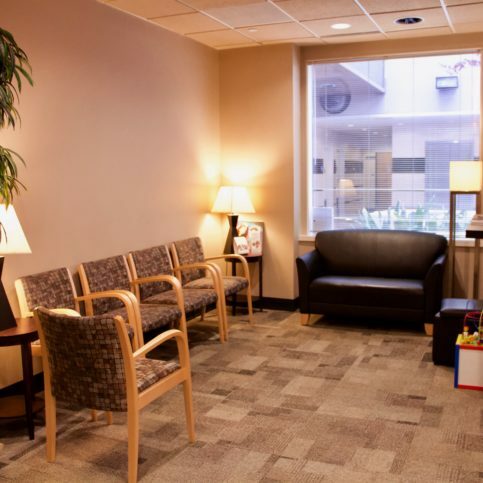 He says he prefers to take his time, completely explain his procedures, thoroughly educate his patients and provide several treatment choices. 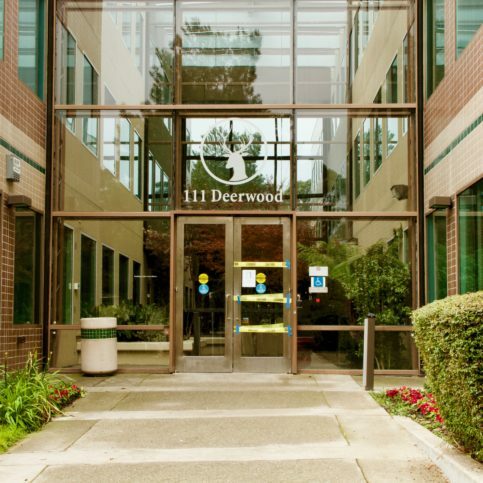 Areas Served: Serving all of Contra Costa and Alameda counties including Concord, Richmond, Antioch, Danville, Walnut Creek, Oakland, Berkeley, Fremont and Hayward. 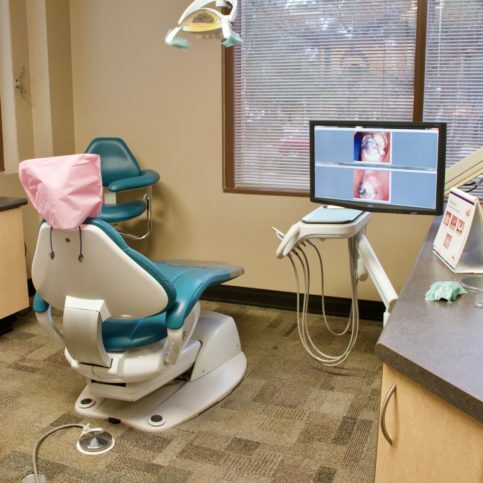 Each evaluation room is equipped with state-of-the-art equipment. 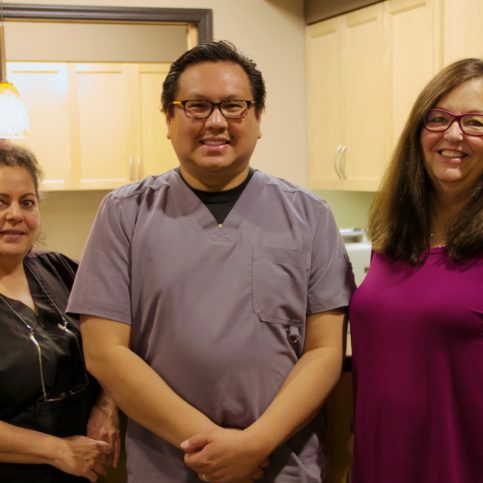 Dr. dela Cruz has been providing general dental services for patients of all ages at his San Ramon practice since 2003, handling everything from composite fillings, extractions and dentures to root canals, whitening and cosmetic work. He also works with veneers, inlays and onlays (a conservative alternative to crowns), and he uses carefully tailored anesthesia to offer painless oral surgery. To make an all-ceramic crown, a dentist uses cameras to create a 3-D model of the original tooth, mills a replacement crown on the spot and has it ready to be cemented in place in 30 minutes. 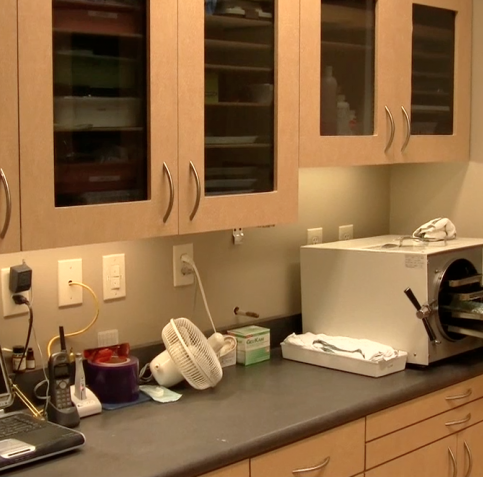 Relatively few dental practices have the equipment to perform this procedure right now, but Dr. dela Cruz says dentists who stay up-to-date on advancements in industry technology will have a distinct competitive edge when state-of-the-art equipment becomes more readily available. A crowned tooth doesn’t require any special care, but it’s important to remember that the tooth underneath the crown is still susceptible to decay and gum disease just like your other teeth. Following good oral hygiene practices (brushing your teeth twice a day and flossing once a day around the crown area where the gum meets the tooth) will greatly reduce the risk of complications and increase the life span of the crown. Q: How much will my dental work cost? A: Once we decide on a treatment plan, we’ll lay out the specific costs and provide you with various payment options. We offer structured payment plans through CareCredit, which is designed for medical and dental treatments. You can also pay the entirety of your bill upfront and receive a discount. Q: Will I be in pain while you’re working on my teeth? A: No. We use ‘profound anesthesia,’ which means you won’t feel a thing. 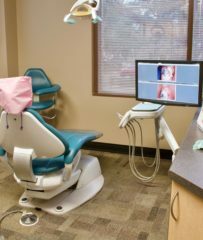 Often, our patients don’t even realize their procedures are over until we tell them. Q: Are you skilled in cosmetic dentistry? A: Yes, one of our specialties is cosmetic dentistry. Our goal is to ensure our work functions properly and looks great at the same time. For example, we don’t use any metal in our crowns, which means you won’t see that black line along the gum line like you see in older dental work. A: Yes. 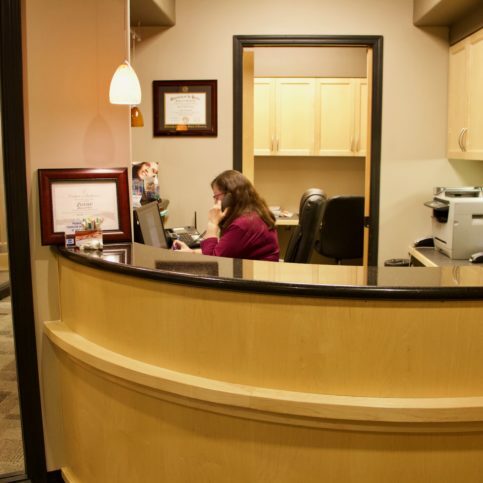 Our practice is adult-oriented, but we offer pediatric dentistry services as well. A: Yes, we accept a number of dental insurances, including Delta Dental, Metlife, United Concordia, Aetna and Cigna, just to name a few. We’ll be happy to go over benefits with you to determine how much your insurance policy will pay on a given procedure, but the ultimate responsibility is yours. As an alternative to flossing, some people prefer to use a water flosser (such as a Waterpik®), which employs the power of pressurized water to clean between the teeth. The targeted, pressurized stream of water is less abrasive than floss and does a great job of breaking up plaque, film, and food particles in between the teeth. In addition to flossing, consider rinsing your mouth daily with hydrogen peroxide to kill oral bacteria and viruses. Three percent hydrogen peroxide will work, but you should dilute it with water at a 50/50 ratio; you can also add it to your regular mouthwash at the same ratio. Swish the solution around in your mouth for about one minute (don’t mind the fizz), then spit. This daily mouth rinse will help heal sensitive gums and improve your overall oral health. 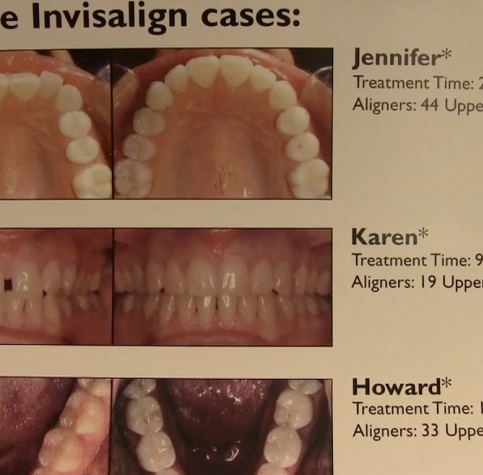 SAN RAMON — When it comes to replacing missing teeth, the traditional method is to install a dental bridge, which utilizes the patient’s existing teeth to fill in the gap created by one or more absent ones. However, while a dental bridge is cosmetically effective, there are a couple of practical drawbacks to this method. For one, adjacent teeth often need to be shaved down to accommodate the incoming prosthetic. Also, since the bridge is permanently fixed into position, it can make flossing between the adjoining teeth a difficult endeavor. A more modern innovation that improves upon the traditional method is dental implants. Unlike a dental bridge, dental implants are actually drilled into the jawbone as free-standing teeth, so they don’t require support from adjacent teeth. Once the bone has grown into the implant, a post is placed onto the tooth and a crown is installed. Not only does this create the visual appearance of a genuine tooth, it also simplifies oral hygiene. 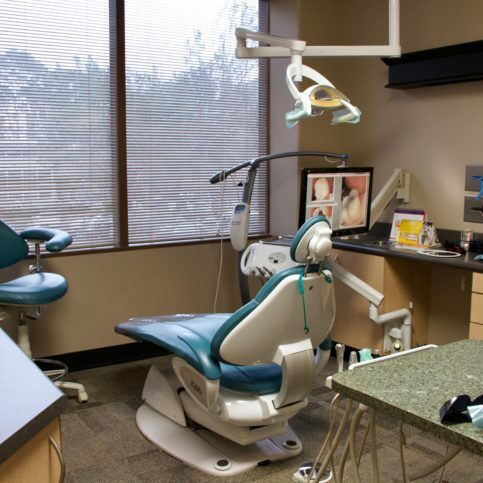 SAN RAMON — Host, Sarah Rutan: For those with missing or damaged teeth, modern restorative dentistry can offer a variety of options. Today we’re in San Ramon with Diamond Certified Expert Contributor, Dr. Alfred dela Cruz to talk about the benefits of dental implants. Diamond Certified Expert Contributor, Dr. Alfred dela Cruz: Many people have missing teeth and the traditional way of replacing missing teeth is with a dental bridge. But the way to do that is we shave down the adjacent teeth in order to create room for the porcelain. The bridge is made in one piece, just like so, and it’s cemented and it’s permanently fixed in that position. However, you won’t be able to floss in between, you’d have to floss from underneath. Contrast that with a dental implant and this goes into the bone and it’s free-standing on its own. And after the bone has grown into the implant, the post is placed onto the tooth just like so and then a crown is put on. And by doing it this way, you don’t have to shave down the adjacent teeth, so it’s much more conservative and it will last you a lifetime. Diamond Certified Expert Contributor, Dr. Alfred dela Cruz: A lot of patients have bleeding gums. That’s one of their main concerns, so the main thing to do is to floss your teeth. That’s the main reason now why your gums are bleeding. The other alternative to that is to use a Waterpik, and what you do is you fill up – fill this up with water – warm water – and you just squirt it in between your teeth, and the water jet has a lot of energy and it breaks up a lot of the plaque and the film and all the food that’s in there, and it really does a great job of removing all the debris before you go to bed. The other tip I recommend to use is to use a combination of hydrogen peroxide 3 percent, comes in a brown bottle, and also mouthwash – a combination 50/50 – and you just swish around with it for about one minute, and it will bubble up a lot, but when you spit it out, it really, really makes your teeth healthy. Alfred B. dela Cruz, DDS : Average 8.9 out of 10 based on 134 unique customer surveys of customer satisfaction. The service, convenience, and professionalism, I have been going to him for 13 years. I would recommend him, because he is good. He's friendly and patient. He is good. He stepped out of his normal routine to make an improvement for me. He takes his time and doesn't rush. He talks about the treatment plan and what's best for you. He's been very easy and gentle, in terms of giving shots. It doesn't hurt as much as it has with other dentists. I guess his honesty, as far as what he does, and there is no unnecessary work. Professional and caring, he did a good job. We are satisfied. He gets to know his patients. I don't know. I guess that he gets to know his patients, he is solid. He is very good, patient, and thorough. He is very knowledgeable and good at what he does. Everything is good. He is patient, kind, and very caring. If I have an issue, I can call, and he will make time. He is nice and gentle when he is working on your teeth. He is the best dentist I've had so far. He's very kind, and he explains everything he is going to do. He does great work. I like his work. He seems pretty knowledgeable in multiple fields. He is very handsome. He's a good Christian guy who does excellent work. He is very friendly, nice, and approachable. When I had work done, the whole office was very attentive. They were very good with the follow-up. He was knowledgeable, as far as the issues I had. I guess, I'd say that he provides good service. He seems to do a very good job with the cleaning. He did a pretty good job with his technique when he was cleaning my teeth.